Firefighters battle an unforeseen danger by not realizing the hazards associated with potential carcinogens permeating their turnouts and reaching their skin. 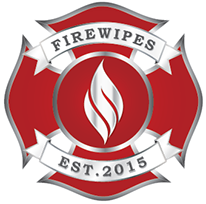 Firefighting is an inherently dangerous business and there is never a way to truly eliminate all the risks involved. In any situation, firefighters will evaluate risk to determine the appropriate action that is needed to be taken. When sizing up the situation of the potential carcinogens infiltrating through firefighting PPE, minimizing contact times of these fireground contaminants on the skin can reduce the risk of exposure. 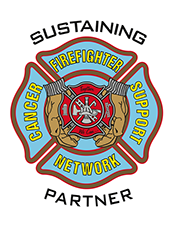 According to the FCSN (Firefighter Cancer Support Network) White Paper, one of the first steps firefighters can take to protect themselves from cancer is on-scene personal gross decon immediately after a fire-related incident or between rounds during extended firefighting efforts. See these steps in the FCSN White Paper and in “The Dirty Dozen” PCERS (Personal Carcinogenic Exposure Reduction Steps) section of our website. #WIPEDOWNTHERISKis more than just a hashtag. It’s an instrument of change that can help promote a positive “shift of culture” in the fire service through Facebook, Instagram and Twitter. Expand the wipe to its full 8”x12” size to maximize the cleaning surface area. Begin cleaning the more permeable skin area such as the neck, throat, jaw and face. While cleaning these areas also be sure to clean the areas around your eyes, ears, and nose. Continue to other exposed areas such as the hands, wrist, lower extremities and groin. Discard properly after use. Never flush in toilets or porta-potties.